Dale Earnhardt Jr has been modern NASCAR's most popular driver so comfortably, he's won the accolade for it 15 times. Now he's retired, along with veteran Matt Kenseth, and Danica Patrick has an impending exit - 2018 is a critical period for NASCAR. And it's not been lost on the paddock. After a year in which NASCAR had a breakout champion in Martin Truex Jr, dominating in a fashion rarely seen in one of motorsport's closest series, CEO Brian France and president Brent Dewar faced questions in a press conference centred on NASCAR's future at the Homestead finale. Why? The headline fact was TV figures are on a steep decline. It was later revealed that the Homestead race was down 20% on ratings from 2016 after 4.6 million people watched it. Even more concerning, it was down 36% from the '15 figures. "There are things out of our control, how millennials and other fans of ours are consuming not only our sport but all the sports," says France. "That's obviously a challenge for everybody. Attention times, the platforms they want to view and consume, they're changing. TV is still, and always will be, critically important." NASCAR argues that TV figures are misleading but compare it to IndyCar and that doesn't wash. IndyCar's figures were up 16% on the previous year - 474,000 - while NBC's Formula 1 coverage also grew by the same percentage to reach 579,000. But the two series' numbers are a drop in the ocean compared to NASCAR's reach, so that just means NASCAR has more to lose - and now it has to try to avoid that trend without several star drivers. Earnhardt was by far and away the most popular driver in NASCAR, building an estimated $400million net worth on the foundation of being seen as the series' relatable face. As his exit wasn't a big enough hit, Patrick will also retire after a planned swansong at the Daytona 500 and the Indianapolis 500. Despite the social media sexist vitriol she attracts in her every move, Patrick is marketing gold for NASCAR. Her first Daytona 500 coincided with a 24% ratings increase after her switch from IndyCar. Even her continued biggest critics, such as Richard Petty, admitted she drew big interest to NASCAR. But along with the exiting veteran Kenseth, Patrick did want to stay in NASCAR. Her 2017 was blighted by sponsorship issues, and the decision to retire was effectively made for her. Kenseth was also unable to find the necessary money to stay in the series competitively. As one-time Cup champion Brad Keselowski says: "We can sugarcoat it all we want but you're not going to replace Dale Jr, you're not going to replace Danica Patrick." It's not unfair to say TV decline has played a role in this. Monster Energy is said to be dithering over extending its title sponsorship to 2020 - at a significantly cheaper price than the previous title sponsor - and it is also evaluating its sponsorship of Stewart-Haas Racing. It all looks and sounds bleak, and to a degree it is. 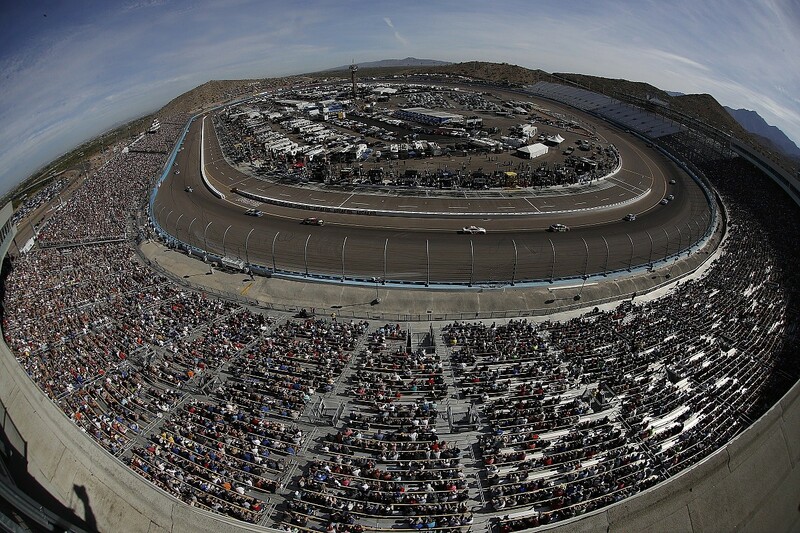 But those conditions are also set to create a chance for NASCAR to find its salvation. Earnhardt reckons that the decline in sponsorship money means the big names are vulnerable, with few willing to meet their costs. Instead, it's young talent flooding NASCAR. Earnhardt's replacement will be Xfinity Series race winner Alex Bowman and he will be team-mate to Xfinity champion William Byron at Hendrick Motorsports. 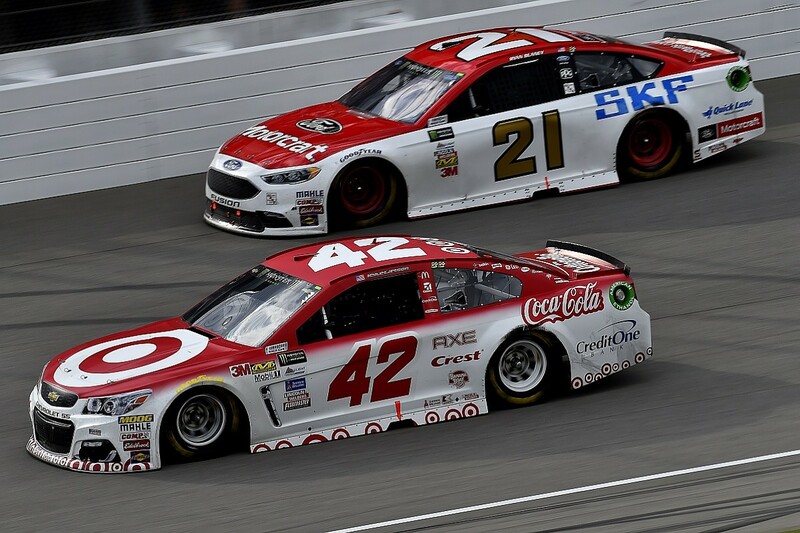 Youngster Ryan Blaney will transition to Penske from Wood Brothers and Erik Jones will build on a promising debut season by replacing Kenseth at Joe Gibbs. "The NASCAR Cup talent pool is in a very good place," explains four-time Cup champion Jeff Gordon, who retired from full-time racing at the end of 2015. "I think wherever you look in racing there are young kids that will do extraordinary things but it's whether they get the chance at the higher level. Is there the business that will give them the chance? Right now, I think there's the opportunity that gives them the chance to show their personality and take that into the future. "That's exciting and how it got me my chance and some of the others before me. I think that's what the sport and the fanbase, sponsors and business need to take NASCAR to the next level." Asked if this could only happen when a reliance on big names with money declined, Gordon says: "I think it's a culmination of many factors. Sometimes sponsors are a part of that, they get comfy with a driver's marketing and they've invested in that. They might want to see that driver carry on for the next five years because it's a big deal. Sometimes it's the same with a team and they want those experienced guys because of results. "I think right now people are willing to take a chance on younger drivers for multiple reasons. The veterans are moving on and opening the door for the others and maybe a sponsor wants to see what's new and out there. "Maybe initially they save some dollars by banking on the future, and I love that. I love seeing team owners take the risk. If they didn't risk that on me, I wouldn't have got my first ride." 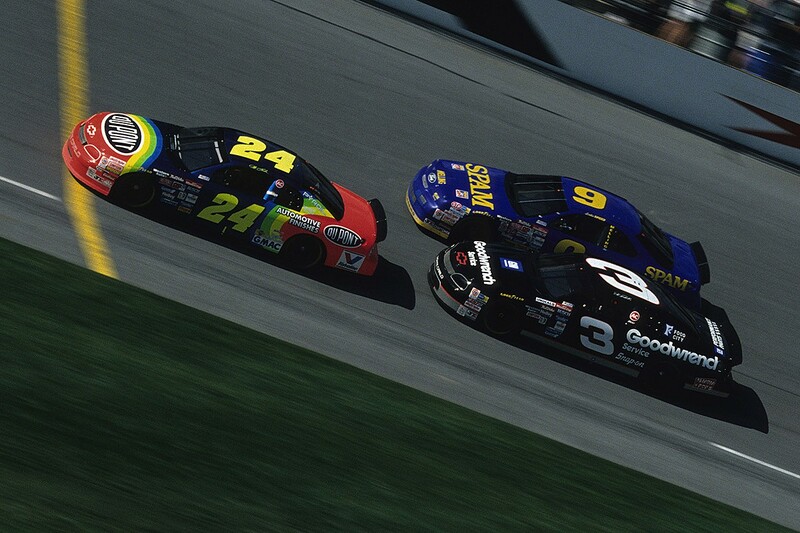 Gordon's start in NASCAR was a gamechanger back in 1993. Initially criticised for being "too dull", his early success - a win in the Daytona 500's preliminary 'duel' and pole at Charlotte - was a lightbulb moment for team owners and the series, opening the door to further young talent to get their chance in a strong period for NASCAR as it took advantage of America's single-seater crisis. It's no surprise that Gordon has called for a similar "90s refresh", and the parallels are clear. The responsibility of a young star leading that Gordon once created now falls on the likes of Blaney and Chase Elliott. 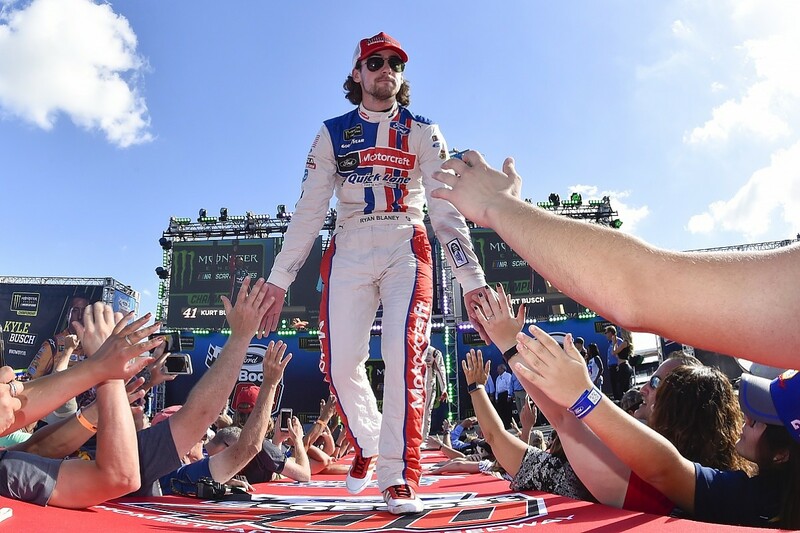 Both are seen as ideal candidates for their personalities as well as racing ability: Blaney runs a successful podcast series and Elliott won ever more fans for his clash with Denny Hamlin at Phoenix. The pressure of being seen as a focal selling point of NASCAR takes its toll. 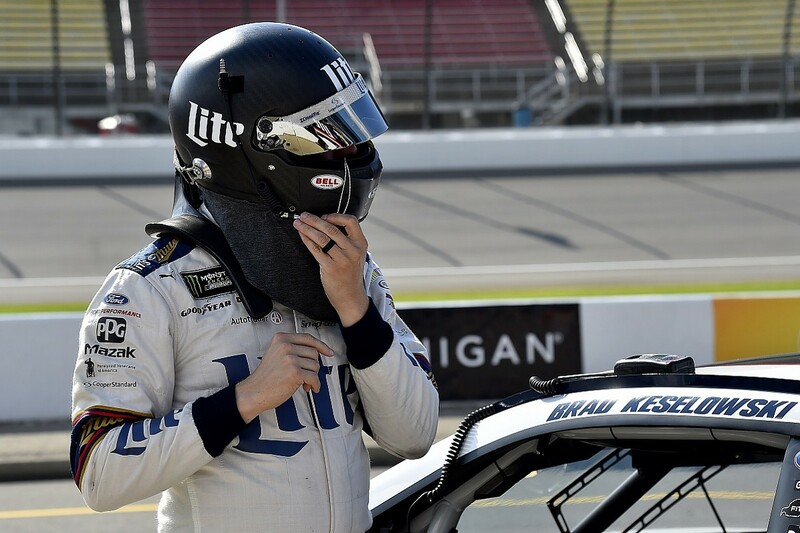 Keselowski - nine years Blaney's senior at 33 - says that he feels his own pressure to be a selling point for NASCAR, but adds it will take time to establish if any of the series' young talent can fill the void left behind by Patrick, Kenseth and Earnhardt. "I definitely feel pressure to have some appeal to our fans and audience," says Keselowski. "I think it's most important for the young guys to perform and sometimes it gets lost on that. 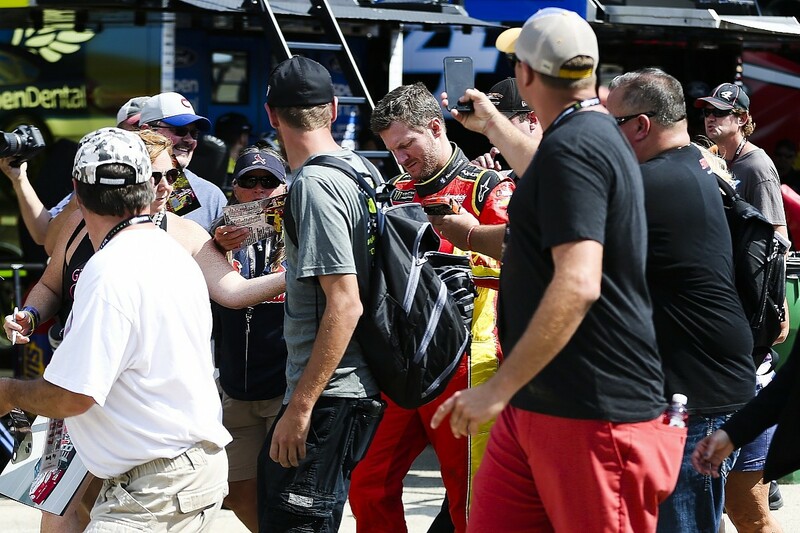 "It's a bit of a circle of life - NASCAR edition. You need fresh young talent and those guys certainly fit the billing to carry the sport forward. I think that it's good. The problem is you don't know which one of those guys is going to become an elite driver. It might not be any of them. It's one of those questions that you answer retroactively." Gordon highlighted his belief that some drivers were more open and interesting away from the cameras out of fear of recrimination, and Blaney believes NASCAR's conscious decision to allow drivers to speak their mind more has helped. "I think it's [personality] what makes the drivers relatable to fans, that's what draws them in," Blaney says. "That's what Dale did so well, he was a very relatable guy, a very stand up person, who spoke his mind, and I know at times NASCAR's been strict on that, people speaking their minds, but I feel like the last year or two they've let us do that a little bit more and it's been beneficial." That's opened up an avenue for Blaney to spread awareness of NASCAR outside of the track, with his own podcast series - brilliantly named Glass Case of Emotion after the film Anchorman - talking about anything and everything, rarely the racing, with fellow drivers. "I brought it to NASCAR as I want to be able to get on there and not talk just about racing, we talk about racing a little bit, but we release that to the public on Wednesdays so it's kind of the between-period of the previous race and the next race," he says. "It's nice to go on there and talk about random things really, and to have other drivers on there and to be able to have them be themselves and not feel like it's a race interview, they can just go and talk for 30, 45 minutes. "They can show their personality a little bit more, you can get them away from that mindset, you can get them just being themselves. I wanted to show people that we can be really fun and just be normal." It's no surprise NASCAR encouraged Blaney, with Dewar saying it was helping them with a key demographic. "They're getting to know the personalities," he says. "If you see a Ryan Blaney with over a million downloads on his podcast, you get to know him. He's a great wheelman, but he's really engaging, and so you're seeing the drivers connect with younger fans because they are young themselves." So, it's increasingly clear that NASCAR is putting its money on young, exciting talent propelling it back to an increased standing - both by choice and by the nature of the decline in sponsorship and TV. Yet it cannot solve all the issues, particularly if there aren't enough people at the track to see NASCAR at its pivotal crossroads. But the powers above have a muddled view of the lack of people attending. Track attendance has not been publicly released since 2012, but it has been said that '16, the latest figures, had a 7.4% drop in track revenue - which was blamed on Gordon's retirement and Earnhardt missing races after suffering a concussion. Once again, star names and personalities go hand-in-hand with NASCAR's business. But it could ease that reliance with a common-sense approach to its calendar. 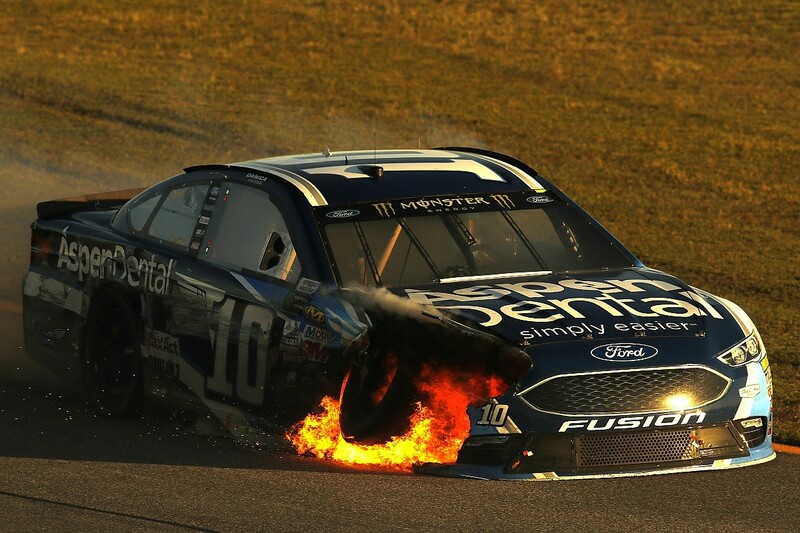 But first, NASCAR has to admit it has problems. Too many races in 2017 had sparse grandstands, which made France and Dewar's post-Homestead remarks all the more bizarre. "Attendance is up at many, many events, I think it's 20 something events, 22," claims France. Dewar then chipped in with: "We know if you attend a race and you have a great experience, we have a shot at a fan for life. We absolutely know that. That's why attendance is important." The solution would be a tough one for NASCAR to implement, being in the middle of lengthy agreements with circuits but with prices rising and with 38 races to pick from - including NASCAR's infuriating insistence of racing at several tracks twice a year - it's shooting itself in the foot. The series has commendably added a road course to the playoffs with Charlotte's new 'roval' that will satisfy the demand for such a race, and there will also be a second popular 'short track' race at Richmond, but it still has too many rounds in total. And as Gordon and Blaney both point out, with so many circuits miles from the nearest city, it's asking its die-hard fans for a big commitment. The opportunity to create new star names is being seized upon, but it will not be the spark that reverses NASCAR's recent decline on its own. Now is a golden opportunity to hit the refresh button.